I love love this rug too! Let me say it again, Safavieh makes the best rugs!!! I had a Ivory Safavieh in my formal dining. I bought it too small because my dining is huge. I decided to move it in my living area so you know what that meant. New rug, Safavieh of course! I'm so glad I chose the champagne rug, it's perfect. I'm redoing my color scheme in several rooms and OMG this rug completed the look and just made the space that more elegant and put a cozy feel to it as well. One happy buyer here!!! This a very stylish looking rug. If feels great underfoot. Color is very true to picture. The HEIGHT of the PILE IS WRONG. I knew this when I bought this because 2 of my friends have it in different colors. It is more like 2+ inch pile not 0.25 - 0.5 inch. 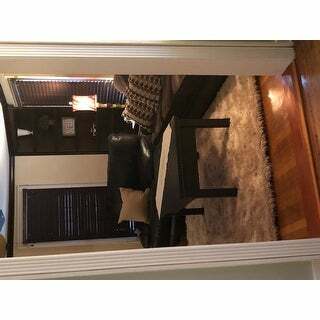 The rug is very good quality and the color and texture exactly as shown in the pictures. It has that scandinavian cozy feel. I bought it for my dining room and liked it so much I ordered a matching one for the living room! All I can say is ‘Wow!’. This rug is gorgeous! Super thick, warm, and silky! I buy rugs based on reviews and wanted something for my hardwood floor due to the cold and this is the best rug I’ve ever purchased. Looks like a 1k rug! I love it!! This is one of the best purchases I have made. 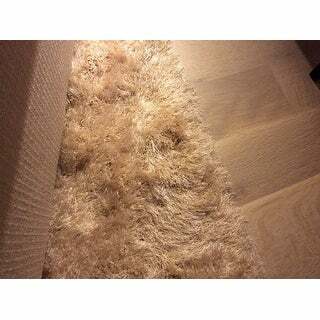 The rug is very beautiful and luxurious. It is soft and silky under my feet. 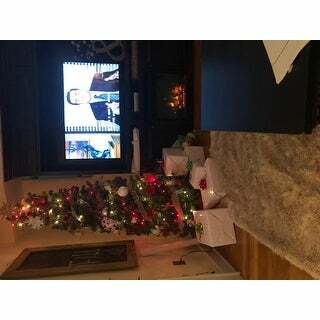 It look gorgeous in my family room under my tile floors. The color is perfect and goes well with my decor. I would definitely recommend this purchase to everyone. I want to purchase another one, but the size I need is not offered. I would buy this again if I had another place to put it. I wish I had discovered it sooner, I would have bought more of this kind. What a beautiful rug. It’s super soft and has a great sheen to it. The color is also very striking. It’s a perfect addition to my glam living room. I’m in love with this decadent yet not expensive, splurge! It arrived on time and in perfect condition. Color has a touch of pink to it like champagne but still goes very well with my cream sofa and yellow-gold chair. No significant shedding, just an occasional stray piece if yarn scavenged by our cat. Put a thick foam pad underneath to add more plushness though my hardwood floor guy said the carpet backing would be fine on my new hardwood floor. For cleaning I just pick up debri—we don’t wear shoes inside and I’m strict about food. When it needs it I will try using my vacuum hose or take it outside and beat it on the line. I bought this for my 26 years old daughters apartment and she put it in her bedroom. She loves it. She said it is true to name in color- champagne. Very soft, no smell and rolled out nicely. It was a big hit. A luxurious addition to a guest room that I did for a client. Color as expected which is not always the case when ordering safavieh. A great buy. Its absolutely beautiful!! Totally transforms the room!! So thick, plush and comfortable! I want this rug in all of my rooms!! 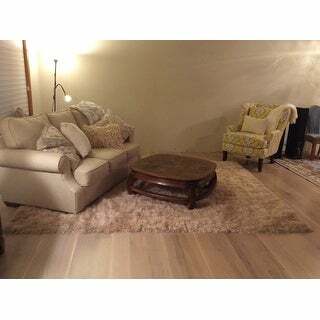 This rug is so soft and the color is beautiful.We are so happy we made this purchase.The color is neutral and goes well with our decor. We have gotten many compliments on it. We bought a round rug to match in the adjoining room. It is so well made. There is an addition to this review. All was well in the beginning but after 3 months the rug did not wear well especially in front of where someone was sitting. It became very matted. Did not look good. I returned it. absolutely love the color and the texture of the rug! Love it. Thick and soft. Color is true to picture. Love this rug! It is so soft and the whole family loves it. "Is this rug pet friendly?" Due to this rugs construction and pile, it is not intended to withstand high traffic. Fibers could pull from pet claws. Reviews for item were all positive. Price and quality seemed reasonable. 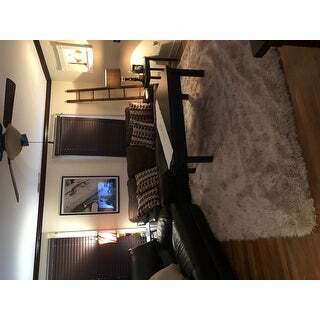 "What are the exact dimensions of this rug? 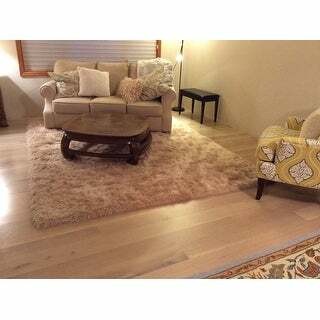 The description says both 7'6"x 9'6" and 7x9"
Safavieh Handmade Venice Shag Luxurious Taupe Rug - 7'6" x 9'6"